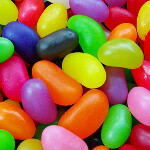 Back in September, a road map let us know which of Samsung's devices would be receiving Android 4.1. 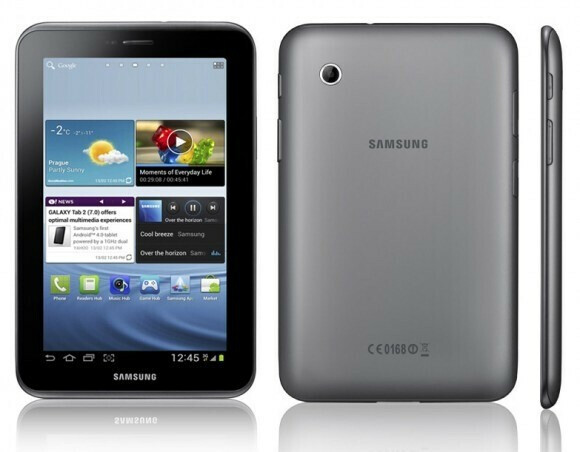 One of the devices on the list, the Samsung Galaxy Tab 2 10.1, was the recipient of the update back in December. That update, which brought great additions like Project Butter and Google Now to the tablet, was rolled out globally. Now, Samsung is taking care of those in the Americas with the Samsung GALAXY Tab 2 7.0 tablet with the same update to the Android OS. To check to see if you have received the update, you can hook your tablet up to your PC and go into Samsung Kies to see if the update is available there. Or, go to settings from the "About Tablet" page on your device. Based on the comments left by those who have updated their tablet, the update can be found on Kies (make sure your battery is fully charged!) and it removes both the screenshot icon and Swype. Don't fret about losing Swype as the swipe to type feature will eventually return on Android 4.2 with Google's own "Gesture Typing," which includes predictive input and a cool blue tracer. If you've updated your Samsung GALAXY Tab 2 7.0 with Android 4.1.1, let us know what you think of the OS build by leaving us a comment in the box below. I got the update this morning. I installed it and the first thing I noticed is that the tablet is more responsive. It now has the status bar moved to the top of the UI and the 3 virtual buttons on the bottom were reordered: [Recent Apps], [Home], [Back]. On ICS they were in the opposite order. I hadn't had time to examine it further. I have the 10.1 and havent been able to get the update in the U.S. I've tried Kies and the built in update ?????? I have a Galaxy and I love this thing. It was easy to understand and I love the interface. Here's the one I have on Amazon amzn.to/11hKZMa. If you're looking for a tablet you should check it out, I think it's very underrated. Got mine today, I live in Hawaii baby! Runs fine to me. I got the update. I don'like it very much. How do I go back ti ICS? Updated this morning. It essentially killed my tablet. Used Kies, but now it will not access the SD card, although it shows it is there and how full it is. Cannont open gallery, or music, or movies. In order to uninstall an app, I have to select it, uninstall it, have it hang at uninstall, restart device and then go back to settings and uninstall the same app again. THEN it will uninstall. (When I updated the tablet gave the "nearly full" notification so I was trying to make room to see if that helped the lack of ability to actually use anything. Still nothing). I hate the update. I no longer have my screenshot option, and i love my screenshots. How can I go back to ICS? I WANT MY ICS BACK!!!!! I hate the update. Moved the back button so you now have to hunt for it. Used to be automatic, like my phone. They moved it to the middle like my 2 yr old LG. Kind of like moving the space bar on a keyboard. Used to be able to take screenshot, write on it and send it. Now.... take 2 hands to push 2 buttons, find it in gallery, send it to another app to write on it ( with less options). 1move to 3 moves. This option is why I bought this tablet. Today I tried the facebook app, but you now have to ho thru a Samsung app to get to it. Contacted Samsung who basically said it was Googles fault. Funny..... the picture of the google tablet has the back button still bottom left. Can't get used to settings at top at all. When an update used to pop up there was a clear button , which is Gone. How can they sell you 1 thing, then change it into something you wouldn't buy. Anyway.. still testing my new nonimproved thing! To edit screenshot. I have an app called Skitch. If course you now have to take 4 steps instead of the 1 easy step Samsung sold you. Take the shot, find it, if you have Skitch you can have it go to Skitch, edit it and send. It doesn't save it on your tablet unless you actually send it to yourself. This is why I bought Samsung over other Tablets. Used it everyday. Good luck. i just got the update yesterday, dont like it at all... how do i delete the extra pages from the home screen now?